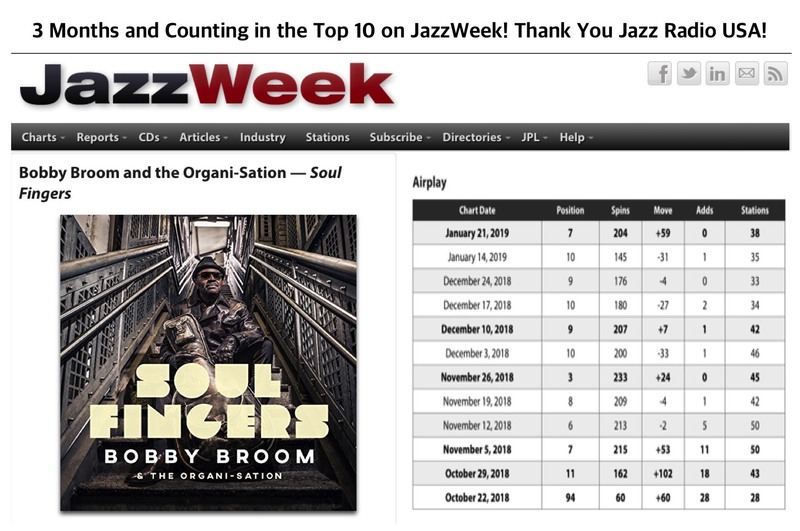 Soul Fingers, the recently released album by Bobby Broom & the Organi–Sation, has remained in the top 10 on jazz radio in the United States since its release last October. That’s three straight months! Representing the debut recording of this group, which began as the opening touring act of the legendary chart topping group, Steely Dan, the album was produced by drummer/producer extraordinaire, Steve Jordan. “I’d really like to thank all of the DJ’s, jazz radio programmers and listeners for supporting my latest effort. It’s very meaningful to have my music be received in such a positive way”, says Broom.